Forget Snapchat, today’s teenagers are going nuts for after birth abortion parties, says 17 year old Massey Green. “I think after birth abortion parties really embody what it means to be young in our society,” says Massey. “These events are fun, they’re provocative, they’re rebellious, they’re everything a teen could want out of a party. You haven’t really lived until you’ve danced to infanticide!" Critics call the events gruesome and barbaric, but Glenn doesn’t see it that way. “Ever since Alberto Giubilini and Francesca Minerva argued about the merits of after birth abortion in the pages of the Journal of Medical Ethics, infanticide has become cool,” says Glenn. "It’s the most cutting edge moral position you can take. Fighting against racism? That’s so 1861. Smash the patriarchy? 1968 called and they want their social movement back. Regular abortion rights? Grandma take your coat hanger and go home. No, we need to level that fight up. 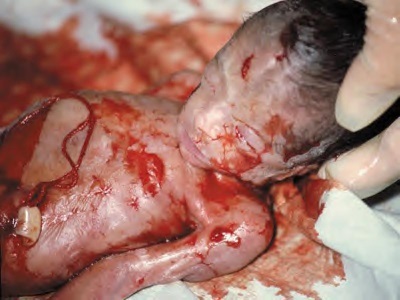 It's time for us to have the right to kill children that are already born." Teenagers agree. “One year olds, two year olds, five years olds — if you don’t want your kid, you should have the right to end them,” says Massey. “And I think if you attend an after birth abortion party, you’ll better appreciate the validity of this controversial moral position. Not only that, but you’ll get to experience first hand what it’d be like to throw a baby off a cliff, or into a fire, or through a cannon. It's so much fun." Glenn says he’s proud of how life like his party’s murder simulations are. “We use cutting edge technology to really make these simulations feel real,” says Glenn. “Each guest at one of our parties gets a state of the art doll that looks and feels like a human child. These dolls come in all shapes, ages, and sizes. They even bleed a real looking type of synthetic blood! Of course, having state of the art dolls isn’t enough. Each of our events features a dozen different ways to destroy your child surrogate. We try to push the limits with our murder simulators. I'm partial to the baby slingshot cannon we had at our last party." Massey says she can’t wait to attend Montreal’s next after birth abortion party. “They’re so exciting. They’re always trying to innovate new ways to experience child murder. I’m more interested in seeing what kind of new simulators they’ll come up with than I am in which DJs they’ve got lined up."